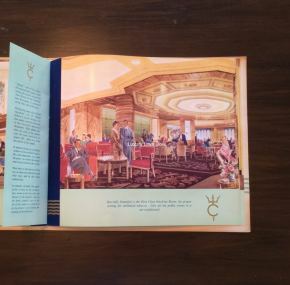 By far the best brochure ever done for Cunard’s superb “Green Goddess.” Large-format brochure in full color with much gold leaf. 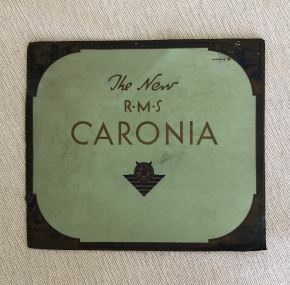 Excellent logos for ss Caronia and Cunard White Star are to be found here, which I have never seen used elsewhere. 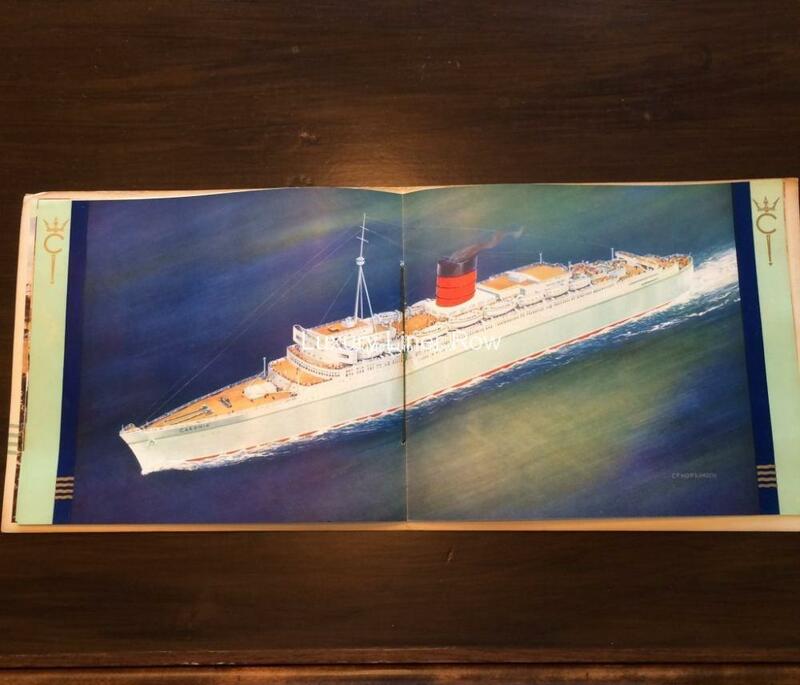 This might just be the best brochure Cunard did for any ship post war. Runs 16 pages with loads of details and interesting insets. 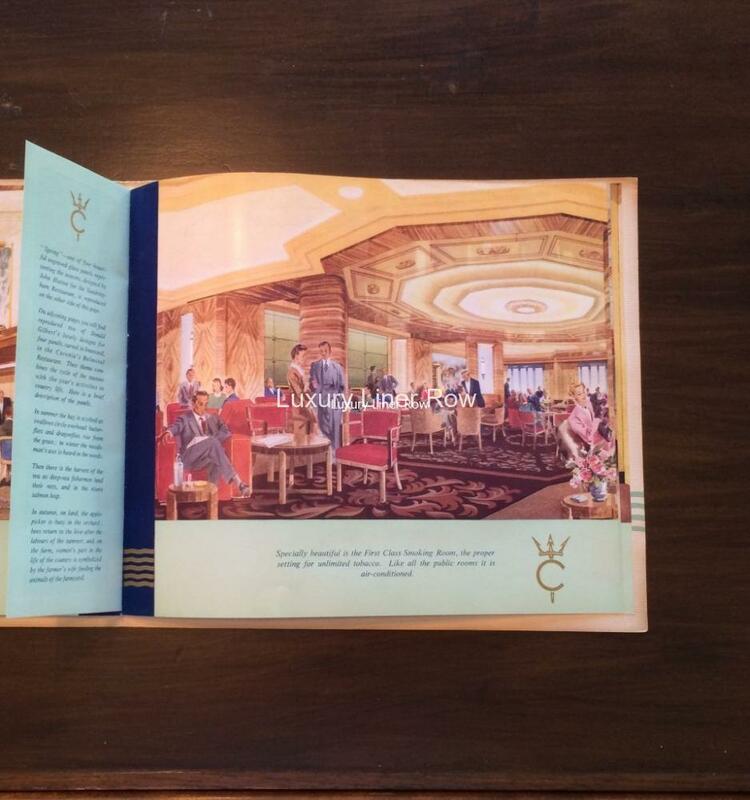 The images are mostly presented in full-page format. Of course, the cover is Caronia green. 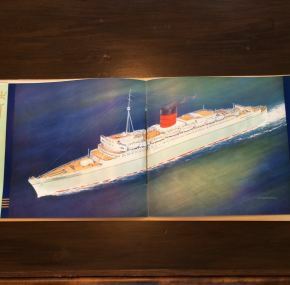 Center section is the obligatory double-page artist rendering of the liner tied with a cord. In excellent condition but cover is dirty.